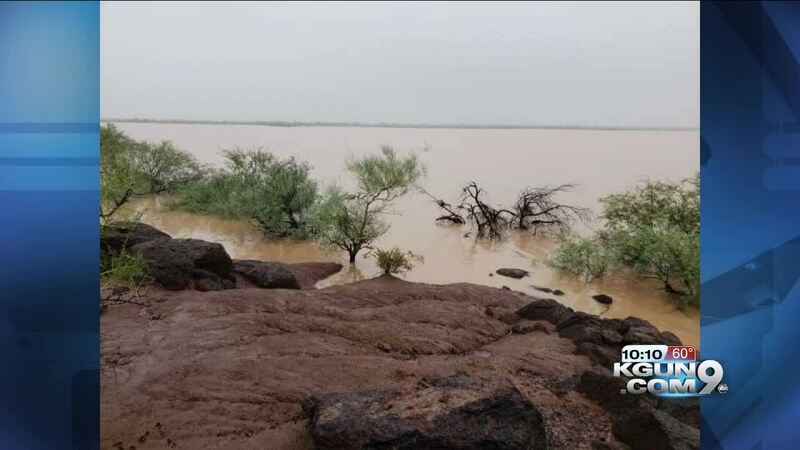 A community threatened by a possible dam breach in the Tohono O'odham nation remains evacuated Tuesday. Over the weekend, crews inspected 50 homes that were damaged by Tropical Storm Rosa. Emergency shelters remain active for those who's homes were damaged. The Red Cross and volunteers are keeping the space open, but donations of food, water and clothing are needed. Donations can be made by contacting Donna Estrada at (520) 993-1079. Those interested in volunteering to support emergency shelter, home repair, and other efforts should fill out this volunteer intake form . Cash donations can also be made on the Nation's website . Rosa's rains nearly breached the Meaneger Dam near the town of Ali Chuk. Sandbags and reinforcements have since been put in place. The U.S. Bureau of Indian Affairs is monitoring.